Setting goals can be an overwhelming process to start. There are many different directions on how and why to set goals. Whatever your current stage as a soccer athlete setting new goals for 2019 is essential to improving. As the saying goes “life is a journey, not a destination.” This is very true in your soccer-playing career. Setting goals will commit you to the work, time, blood, sweat, and tears, which come along with the price of achieving success. So let’s get going on your 2018 soccer goals process! You will become more enthusiastic and motivated. You will gain greater confidence and self-worth. You will become more organized and effective. You will learn more, be more, and do more. You will make better decisions. You will have a greater purpose and direction in soccer and life. You will do more for yourself and others. Set performance goals, as opposed to outcome goals. A performance goal is something that you can control, whereas an outcome goal is based on a result that may or may not be under your control. An example is a player aspiring to score 25 goals in the upcoming season. This kind of outcome goal will obviously depend on the situation, the play of teammates, the quality of the opponents, and decision making of the coach. A better option would be to focus on an increasing your goal-scoring mentality, technically improving your shooting and finishing, and learning to tactically improve your combination play and runs in the attacking 1/3 to create goal scoring opportunities. Set practice goals as well as game goals. Be flexible and always learn to adjust and adapt. 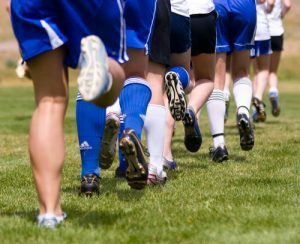 Since soccer is a team sport, your coach may ask things from you that will not always coincide with the pursuit of your personal goals. Make sure that you share your goals with your coach as this will prove to be beneficial to you and the team. Always stay positive and resilient when setbacks happen. You will inevitably struggle at accomplishing your new goals – it’s part of the process. Reflect on past successes to keep you on track. Make or purchase a fun and inspiring spiral notebook or journal. Put some personal identity into the journal by attaching a few action pictures of yourself playing soccer, pictures of your favorite players or team. Write down a few of your top motivational quotes, and maybe script a few of your own. Whatever gets your juices flowing you can use your notebook as a source of motivation. Open your notebook and write down the following questions and spend a little time answering each one. Evaluate: What were my strengths/highlights in 2018? What were some of my struggles/weakness in 2018? What went well? What didn’t go well? How did I train in team practices? What kind of training did I do on my own? How did I perform in games? What kind of feedback did I get from my coaches? 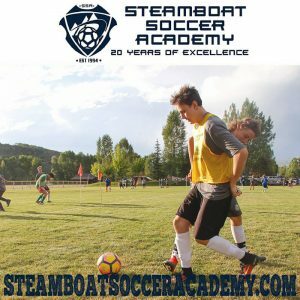 Formulate: What do I want to accomplish as a soccer player in 2019? Where do I want to be as a player at the conclusion of 2018? What are my strengths that I want to continue to develop? What are the areas of my game I feel I need to really improve? What component of my game felt strong today? How does this relate to achieving my personal goals? What component of my game did I struggle with today? At my next practice, what part of my game do I need to apply extra focus? Additionally, answer the same questions in your journal after each of your games. Throughout the year make sure to ask a family member, a coach, a mentor or all of the above for some additional input to your reflections. Continue to add any content, pictures, motivational quotes, and anything that gets you excited about soccer and achieving your goals. At the end of 2018 start the same process for 2018. The reward for good work is more work. Good luck, strive for improvement and have fun.